I want to make one thing clear before narrating this tale. I am not supporter of either PPP or PTI; both of these parties should be criticized for their numerous shortcomings. I want to narrate a tale of hypocrisy and double standards which concerns both PML-N and its leaders i.e. Sharif brothers. PML-N and its leadership criticizes their political opponents for the wrongdoings which they also have committed in past. They behave like they have never done any thing wrong and completely ignore their past. PML-N vehemently criticized PPP and Asif Zardari for being beneficiaries of NRO. PPP leaders were declared corrupt and alleged for clearing their names from corruption cases by virtue of NRO. That’s true and no one can deny that but Sharif brothers also signed a NRO with Musharraf and left Pakistan silently on 10th December 2000. Nawaz Sharif was facing a life imprisonment sentence and other corruption charges, but He along with his entire family silently left for Saudi Arabia after a deal with Musharraf. That infamous deal was brokered by Saudis and Lebanese Prime Minister Rafiq Hariri. Overnight, Nawaz Sharif was cleared from all the cases and freed from prison. Sharif’s spent 5 years in Saudi Arabia before re-entering the political scenario back in 2005. One can argue that those cases formed by Musharraf against Nawaz Sharif were politically motivated and revengeful, but same thing can also be said for the cases against Zardari. It’s a double standard to criticize others for NRO and completely ignore your own NRO conveniently. Nawaz Sharif hijacked judiciary movement in late 2007. He used it to secure substantial amount of seats in 2008 elections. Then He became the champion of restoring judiciary and successfully forced the government to restore Chief Justice in March 2009. Throughout the tenure of its government, PPP was criticized for not respecting judiciary, by PML-N. The funny thing is that it was PML-N whose supporters attacked Supreme Court in 1997, when Nawaz Sharif was facing contempt of court. Nawaz Sharif’s manoeuvring resulted in toppling then chief Justice, Sajjad Ali Shah and installing one of his loyalists as new chief Justice. PML-N has a dark history when it comes to respecting judiciary but it became a champion of rights of judiciary, when its political interests demanded that. This can’t be anything other than shear hypocrisy and only die-hard PML-N supporters can deny this bitter truth. Likewise, PML-N criticized PTI and PML-Q for being stooges of establishment and using military to acquire power. In last elections, PML-N openly alleged that PTI had the help of General Pasha, Ex-DG ISI. Whether these allegations are true or not it’s another debate but it once again reflects the double standards of PML-N because it’s a product of Zia’s regime itself. Nawaz Sharif started his political career by joining Tehreek-e-Istqlaal but left it when he realized that it had no future. He jumped into the bandwagon of Zia’s government and became Finance minister of Punjab. He remained a loyal support of Zia throughout the regime of dictator. After the death of Zia, Nawaz Sharif was the favourite leader of establishment and they supported him till 1997. Nawaz Sharif became anti-establishment when his democratically elected government was toppled by dictator Musharraf. So, at one point in time, Nawaz Sharif also did what PML-Q did during Musharraf’s regime and what allegedly Imran Khan was doing by taking the help of General Pasha. If this is not hypocrisy then what else it can be called, please enlighten me. Nawaz Sharif imposed governor rule in Sindh in 1998 by dismissing the chief minister of its own party. The pretext used for this decision was the worsening law and order situation in Karachi. That’s only partly true because MQM had left the government and it was planning to form a government with the help of PPP. Nawaz Sharif could not let that happen for obvious reasons and therefore, He imposed governor rule. In 2009, Asif Zardari also imposed governor rule in Punjab dismissing the PML-N government. I don’t think that it was a wise decision by Asif Zardari. PML-N reacted with a long march to restore its government and declared governor Rule an attack on democracy. Again PML-N conveniently forgot that they had also carried out a similar attack against Sindh Government to protect a PPP-MQM collation from forming a government there. This story about Hypocrisy and double standards of PML-N is very long and can’t be summed up in an article, So I conclude it here. Today, no doubt PML-N is a popular party who has got power with public support. It has taken a lot of steps which are worth praising and appreciation. However, throughout the journey of achieving political stardom, it has done a lot of non-democratic things. 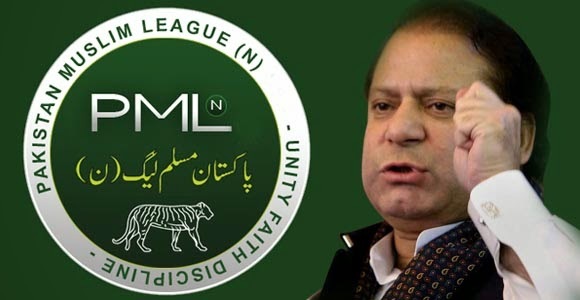 PML-N has been involved in all possible legal and illegal practices to acquire power. In the greater interests of Pakistani democracy, PML-N should accept all its undemocratic acts and apologize for them such as supporting Zia and attacking Supreme Court. Only that can exonerate PML-N from its dark past and it can be a truly democratic party which doesn't believe in hypocrisy and double standards.